number of useful tips that can help anyone make the right choice based on his or her individual needs and budget. In general, some of the factors that should go into your camera selection include built-in features, portable vs. fix mounted and whether your selection has the appropriate software needed for an application. Although many buyers already understand thermal imaging and have an idea of which brand they may prefer, some buyers are completely new to the industry and require additional information to make the best decision possible. As far as brands go, FLIR and Fluke are the most well-known and reliable options. Each has a vast selection of cameras from which to choose. Ideal for facility maintenance and home inspections, the Extech i5 Compact Infrared Thermal Imaging Camera (seen above) is compact and fully automatic. Its ease-of-use makes it a popular choice among buyers with little or no experience using a thermal imaging device. 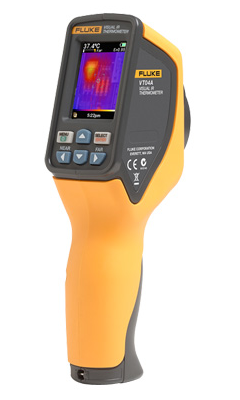 As one of the smallest and lightest thermal cameras on the market, this powerful tool features intuitive one-handed operation. It also includes a high-resolution, 2.8-inch LCD color screen and a rechargeable lithium-ion battery. The included QuickReport software aids in the sharing and analysis of radiometric images. In fact, each image can be organized and analyzed. The software enables users to drag and drop images, add text comments and add a company logo to inspection reports. Home inspectors can use the Extech i5 Thermal Imaging Camera to see things that are not readily visible to the naked eye. The camera can detect and reveal minor temperature variations that may signal moisture problems and electrical failures. In addition, the Extech i5 weighs a mere 12 ounces and easily fits in a tool kit, pocket or belt. As a firefighter, safety is key when performing essential job functions. That is why it is important for firefighters to utilize high-quality thermal imaging devices that are specifically designed for the unique working conditions of firefighting crews. The FLIR K2 TIC with MSX is a high-quality thermal imaging camera designed for ease-of-use and affordability for firefighting crews. This camera possesses all the ruggedness, capability and reliability every firefighter needs to stay safe on the job. 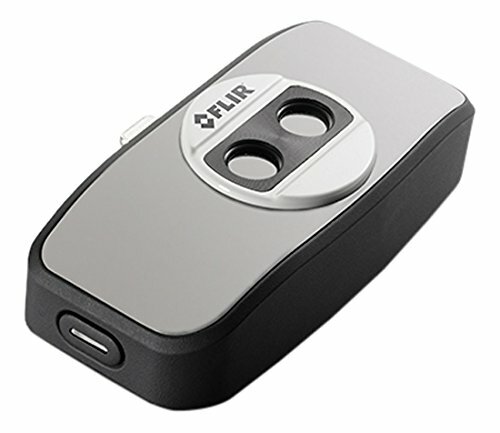 The FLIR K-series is easier-to-use and more affordable than many other cameras of its kind. Without sacrificing reliability, clarity or performance, both the K33 and K53 include FLIR’s FSX™ Flexible Scene Enhancement. In addition to the camera’s ability to intensify structural and textural details in thermal images, these cameras help improve awareness in a given situation to provide firefighters with an increased sense of safety and confidence while on the job. As the camera of choice for buyers looking for high image quality without all the extras, the K33 and K53 models both power on ready to go. Not only can this save time on the job, but also firefighters can focus on their immediate challenges rather than wasting energy setting up his or her thermal imaging device. Electrical contractors understand the importance of having the tools required to get the job done right. As a leading brand, FLIR offers a wide range of thermal imaging solutions designed to help contractors complete their work safely and efficiently. Not only can these cameras help detect problems, but they can also help electrical professionals prevent outages and shutdowns. In addition to revealing the specific location of heat issues, thermal imaging devices provide an accurate way to measure temperatures without requiring the contractor to touch the source of the problem. Not only does that help create a safer working environment, but it also makes the process easier and less stressful for every worker on the job. FLIR’s selection of lightweight handheld infrared cameras comes in a variety of shapes and sizes. While some can fit easily in a tool belt, others are full-featured, high-resolution options that can help any electrical contractor gain an edge in the industry. With a spot ratio of 24 to 1, the FLIR TG165 Spot Thermal Camera can help electrical professionals discover temperature problems often missed by standard radiometers. The FLIR TG167 Spot Thermal Camera closes the gap between a single spot infrared thermometer and FLIR’s other thermal camera options. 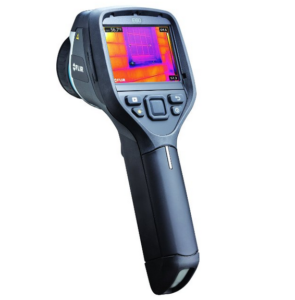 With the FLIR TG167, electrical contractors can see the heat easily, which means they will know where to measure it. Now, with MSX, FLIR’s advanced thermal imaging camera performance continues to get better with each new development. Not only can the FLIR E-Series and E-Series bx cameras enable efficient troubleshooting, but they also help leak detection professionals create detailed reports easily and share images faster. Although most people do not realize it, the average house has a significant amount of leakage. In fact, although heating and cooling accounts for approximately 50-percent of most people’s energy usage, their leaks and drafts can significantly increase the amount they spend on heating and cooling. That is why it is important to find a high-quality thermal leak detector like the Black & Decker TLD100. In addition to the detector’s ability to find leaks along walls, duct work and molding, it can also provide intuitive feedback to the user when it comes to finding the right location to place insulation or caulk for best results. With this device, anyone can increase the efficiency of their home’s insulation. 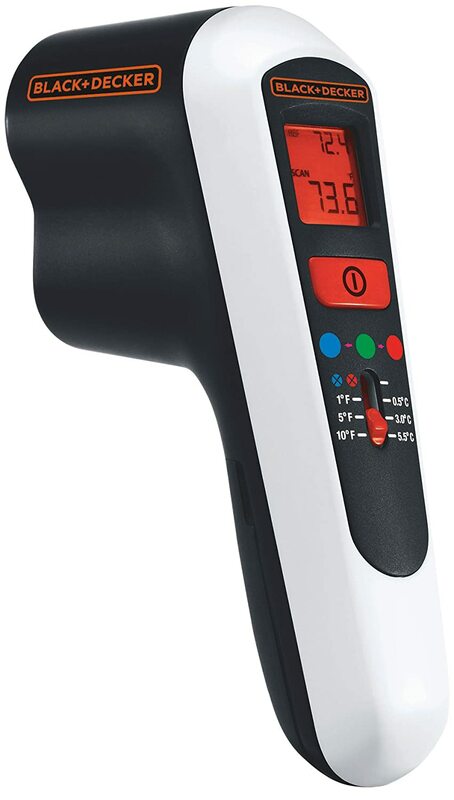 Created with solid technology, the Fluke Visual Hand-Held Infrared Thermometer & Imaging Camera is a quality thermal imaging thermometer and camera designed to meet a wide range of needs. Not only is this camera affordable, but it is also versatile, easy to use and made to last. Once only used by professionals needing to detect temperature, thermal imaging is beginning to take on a whole new life. In fact, although smart phones do not currently come equipped with built-in infrared cameras, anyone can purchase an infrared camera add on for their own mobile device. In today’s society, most people carry their phones with them at all times. It’s no wonder that more people are finding beneficial uses for thermal imaging capabilities on their android devices. A lightweight accessory designed to transform an android device into a powerful infrared camera, the FLIR ONE Thermal Imager for Android displays live thermal infrared images by using the FLIR ONE app. With the app, temperature variances can be measured, captured and shared as thermal images and videos. When using a thermal imaging camera, the image produced is frequently called a thermogram. It is analyzed through a process called thermography. As sophisticated devices that process the captured image and display it on a screen, thermal imaging camera images can be used for a number of things. They can assist in the immediate diagnosis of a potential problem, or they can be processed through specialized software for further evaluation. Instead of providing a number for the temperature, thermal imaging cameras give you a picture that actually shows the temperature differences in an area. A method of improving the visibility of objects in a dark environment by detecting the objects’ infrared radiation to create an image is commonly known as thermal imaging. In addition to its ability to work in environments without any ambient light, thermal imaging can penetrate through things like fog and smoke. Most often, thermal images are gray scale in nature. However, some thermal cameras do add color to images for easy identification of objects at various temperatures. In gray scale, white objects are hot while black objects are cold. The amount of gray indicates variations between cold and hot temperatures. Also known as, a thermographic camera or an infrared camera, this type of device is similar to a traditional camera except that thermal cameras operate in wavelengths as long as 14,000 nm rather than the 400 -700-nanometer range of typical visible light cameras. For most people, getting the best value for the money spent is a top priority. However, depending on an individual’s specific needs and expectations, there are a number of things to look for during the search for the right camera. Some of those factors may include deciding between qualitative and quantitative cameras, deciding on specific built-in features needed for an application and whether the preferred choice is portable or fix mounted. Qualitative Measurement: Obtaining and interpreting thermal images based on thermal contrast. This helps determine the specific location of temperature variations as well as what the temperature difference is between the main target and the surrounding areas. Quantitative Measurement: Determines the correct temperature readings of thermal images. Especially when needing to know the exact temperature of a target to determine whether it will fall in or out, the quantitative measurement is quite useful. With a wide range of choices, thermal imaging cameras can be portable, fix mounted or pan and tilt. The good news is, with a clear understanding of the differences of each, the selection process is often simplified. 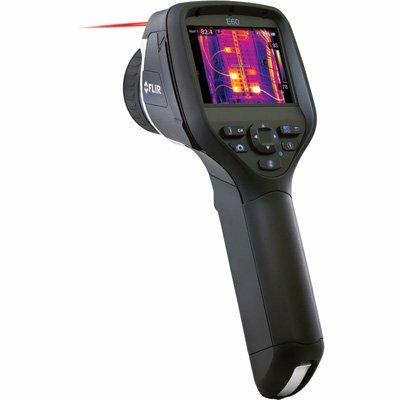 Ideal for applications like research, electrical, mechanical, firefighting, building inspections, energy audits and process control, portable handheld thermal imaging cameras are typically lightweight and easy to use. Buyers should take note of the design and weight of their desired camera during the selection process. In some cases, buyers should also consider environmental protections as well as durability. Will the camera be used for an extended period? What size lens is required for the specific application? Should the camera come with specific voice annotation capabilities? Does the camera battery need to hold a charge for a specific period? Should the camera remain fixed at all times? Does the camera need to have the ability to pan and tilt? Will the camera be exposed to outdoor environmental elements? When setting out to purchase a thermal imaging camera, it is important for buyers to understand that the majority of these cameras have fewer pixels than most visible-light cameras. For this reason, buyers should select a camera with the highest resolution and image quality possible. Understandably, smaller budgets may limit the choices for some buyers, but each buyer should still focus his or her attention on high-resolution options that fit within their own unique budget. This is important because, in thermal imaging, the higher the resolution and image quality, the more accurate the results for showing fine details. Whether you’re a professional looking to enhance your work performance or a home owner hoping to detect problems in your own house, finding a reliable, high-quality thermal imaging camera is a key component to getting the accurate temperature measurements you deserve. Clear images can not only make filing reports easier, but they can also help you see potential problems right away. As a buyer, it is best to seek help from a knowledgeable professional if you are not sure which camera may be the right fit for your specific need and budget. However, a few things are certain; high-quality cameras will last longer and provide clearer and more accurate images. Buyers looking to purchase a thermal imaging camera should consider a wide range of factors before making their final decision. Anyone that is not sure what they should look for can benefit from the detailed information included for each camera discussed in this review. When following these tips, anyone can make the right choice based on his or her individual needs. New to Thermal Imaging? There’s no need to worry. Although some thermal imaging camera buyers are savvy in the industry and possess a clear understanding of thermal imaging and all that it entails, many people find it useful to conduct significant research to ensure they will make an informed decision. Whether a worker is a firefighter, electrical contractor, home inspector or leak detector, there is a lot to learn about each thermal imaging device and how it can bring the most benefits to a work place. With a well-designed thermal imaging camera, firefighters can remain safe and more confident in their job, electrical contractors can rest assured that they will not have to touch hot wires and home inspectors can relax in knowing that they got the job done as thoroughly and completely as possible. Regardless of the specific thermal imaging camera you choose, you can experience the many benefits associated with each brand and design. You may prefer a fully equipped multi-use infrared device or a compact, but powerful camera. Either way, the main point is to purchase a thermal imaging camera that is sure to give you the most benefits for your money. Taking the first step toward getting that high-quality thermal imaging camera is easy when you understand how these cameras work, and how each one could benefit you.